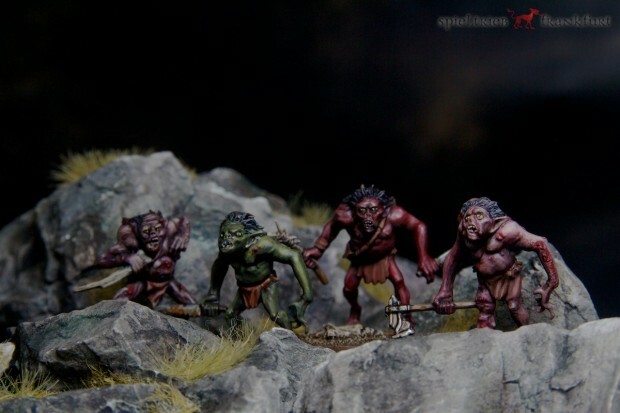 After I painted my first Goblin from the Goblin King Box by GW, Finarfin showed his colorful versions of the Goblins. This was an eye opener for me. Before that point I headed for darker and dirtier versions than those which could be seen in the movie. Personally I did not like the Games Workshop paint job as I found them to clean and to light. Finarfin showed the quality of the miniature design by simply adding Orc colors – and I mean Tolkien orc colors. These four version were painted by me recently because Glorfunzel and me played a game of LotR SAGA with lists from Frank Becker. This is really a fun to play and so those miniatures came again in my mind. 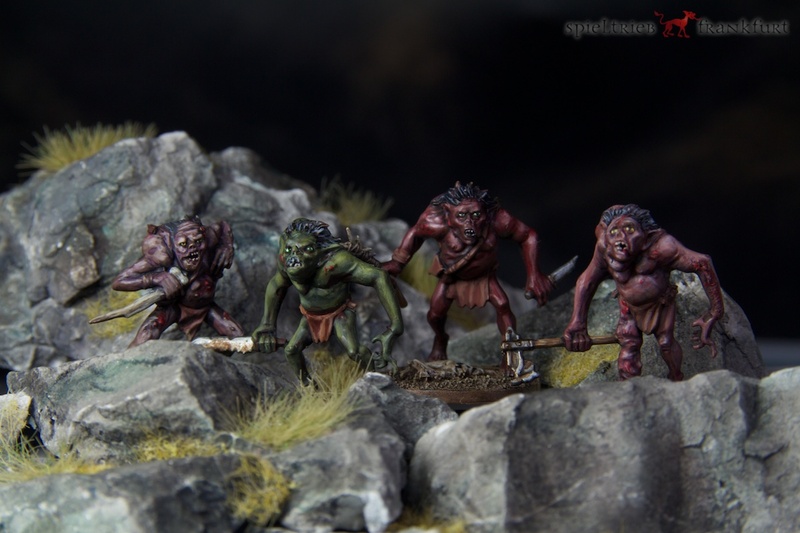 Die Goblins sehen unglaublich gut aus! Am besten gefällt mir der Gesichtsausdruck des zweiten Burschen von rechts. Sehr schön! Danke nochmals für die Einladung, war sehr nett gestern. Ich habe noch Euren Keller zu sehen bekommen, sehr eindrucksvoll!